Well folks, it’s hard to even imagine, but hopefully one day winter will end. The sun will once again warm us and the piles of snow will disappear. When that happens, it will be time to start thinking about those springtime chores that have gone ignored for several months as we huddled indoors trying to avoid the worst winter on record for many of us. One of the things that really ought to be on your list is a thorough inspection of all the outside equipment that makes your home theater work. Antennas and satellite dishes are prone to fail during the winter, and the most common failure point is the attachment where the cable meets the antenna or dish. That’s where you should be looking for any signs of corrosion, cracking, or anything that indicates where water could get in. When it gets cold, metals actually get smaller. What starts out as a nice tight connector in the summer gets looser as the weather turns colder. You were probably aware of the fact that things expand as they get hotter, but you might not have realized that they also contract as they get cooler. It’s two sides of the same coin. That wouldn’t really be too much of a problem except that everything shrinks at different rates. The copper at the center of the cable shrinks at one rate, the nickel, zinc or brass of the connectors shrink at a different rate, and plastic hardly shrinks at all (though it does shrink.) That means little gaps form around the connection points. Where water can find a way, it will find a way. Water condenses from vapor as temperatures get colder, and that means that even without rain, little drops of water — too tiny to think about under other circumstances — can get in between connection points. Water is bad enough by itself – it aids in oxidation which is a form of corrosion that makes your connectors less effective, but water has a unique quality… while everything else is getting smaller as it gets colder, water expands. 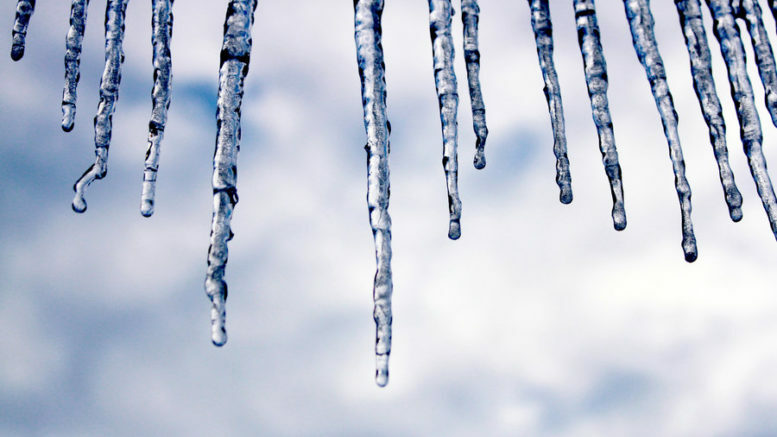 You know this… water freezes into ice and can no longer hold the air dissolved in it. Ice takes up more space than water, and water is strong! The Grand Canyon is a perfect example of the damage water can do with just enough time. Water will push your connectors even further apart and open them up to even more corrosion. Or so they tell us. In our Detroit offices it’s been a brutal winter and sooner or later it has to end, right? When the thaw finally comes, everything expands, making things worse. Any tiny gap gets magnified, and liquid water aids in even more corrosion as it evaporates. Eventually (and again, this is our hope) it gets warm enough that the sun begins to beat down on weakened plastic parts, weakening them even more. Eventually, cables completely break down, and here’s the thing… they always break down when you have someone over and you’re bragging about your home theater. Or… does that just happen to me? That’s why this is the time to take a really close look, before the worst of the damage happens, to make sure that you see absolutely no corrosion, absolutely no moisture, absolutely no cracking of anything plastic. It may still be a little chilly to spend a ton of time outside, but that means there’s plenty of time to order the parts you need from SolidSignal.com to replace anything even remotely faulty.